Who thinks it’s possible to interrogate a strip of videotape? When is “some” more than “numerous”? And who told The Lie of the Week? We name names in another stunning installment of Fox Haters Week in Review! There are only so many ways to misinform. So it’s no surprise that the newshounds have to keep going back to the same well to perpetuate their falsehoods. We’ve seen a recent revival of one of these bits of rhetorical legerdemain, what might be called for lack of a better term “Barking Points”. 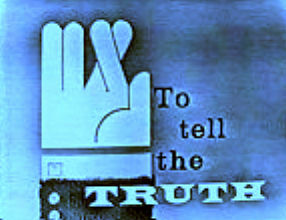 The methodology is simple: create a phony smear, then repeat it often enough that it becomes truth. Or at least Hound Truth, which bears the same relationship to the real thing as a lightning bug does to lightning. 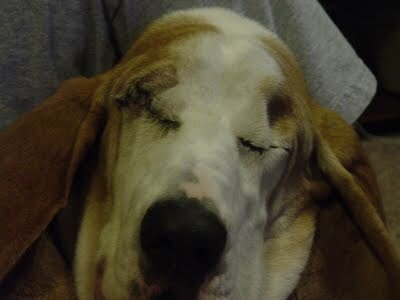 An example: the mutts tried to devise a Barking Point about Glenn Beck’s television, but that didn’t work so well. Did Sarah Palin Blame The Email Hacking For 2008 Election Loss?... Fox News’ America Live not only made Sarah Palin’s testimony in the trial of the man accused of hacking into her private email account its top story yesterday (4/12/10) [sic], it reported on it at least five times in the course of the two hour show. It will not shock you to know that Ellen is being a tad disingenuous here. Re the “five times”: two of those five “reports” were part of the bottom-of-the-hour headlines, carefully edited to remove the other stories mentioned. Another was a pre-commercial tease! And “report #5” was a 30-second video clip of Palin talking to reporters after her testimony. So that makes how many reports? One and a half, or if we want to be generous, two. Not five. Neither host Shannon Bream nor reporter Trace Gallagher noted Palin’s very dubious claim that the hacking impacted the 2008 election. Was Palin blaming her loss on the hacking? Neither substitute host Shannon Bream nor reporter Trace Gallagher seemed at all interested in finding out just how impacting Palin thought it had been... Gallagher went on to quote Sarah Palin as saying, “If the intent was to disrupt, it was successful. It caused a huge disruption in the campaign.” How big a disruption? Neither Gallagher nor Bream seemed curious to know.... Palin told reporters, “I don't think an illegal action like this is a prank. Not when you consider... how impacting it was on a presidential election. It went beyond a prank.”... But once again, nobody on the show questioned that statement or thought it worth probing just what the heck Palin had been trying to say. Palin told jurors she was cut off from her primary source of communication with her children back in Wasilla, Alaska, when she was instructed by the Secret Service and campaign managers to stop using the account. The campaign, in the meantime, was forced to divert attention to the fallout - increased media scrutiny of her use of a free, poorly-protected private e-mail account and a slew of rumors about what the account might reveal. Van Susteren, like her Fox News colleagues before her, failed to ask Palin about what could have been a real bombshell: Did Palin blame the hacked emails for the 2008 election loss, as she suggested when she said they had a significant impact? Now Ellen wants Greta to ask Palin about a Barking Point that Brodsky dreamt up a few hours earlier? It’s a good thing Greta doesn’t read Ellen’s claptrap. And by the way, who were the “Fox News colleagues before her” who, according to Brodsky, “failed to ask Palin” about her statement? Ellen’s link goes straight to: Shannon Bream and Trace Gallagher! So we were right: Brodsky did expect them to freeze the tape and question it. Yes, Ellen really can be that moronic. Cavuto Falsely Says Obama Plans To Cut NASA Budget...Cavuto brought on Gene Cernan, the last man to walk on the moon, to criticize President Obama’s NASA plan. Cavuto began by echoing one of the distortions put forth by Fox & Friends earlier that day: that Obama plans to cut NASA's budget.... Cavuto, who usually complains about too much government spending painted the plan as some kind of cut to NASA. “That's the one area where we're cutting where we shouldn't right?" he asked Cernan. There’s just one problem with all this: it ain’t true. Would you be shocked to learn that Cavuto never mentioned the NASA budget? And look at the quote attributed to Cavuto. Would it surprise you that it’s been cropped? Would you like to know what he actually said? CAVUTO: What is the biggest concern you have for what’s happening with the space program? You argue there, spending is wise, and that’s the one area where we’re cutting where we shouldn’t, right? There will be no lunar landers, no moon bases, no Constellation program at all.... In the meantime, the White House will direct NASA to concentrate on Earth-science projects — principally, researching and monitoring climate change — and on a new technology research and development program that will one day make human exploration of asteroids and the inner solar system possible. Neither Cavuto nor Cernan ever said the NASA budget was being cut. They were talking about the space program. Once again the entire thrust of a newspoodle article proves to have been based on a lie. We can chalk this one up to a “guest blogger” named Brian. Whoever that is. With the ever-dwindling roster of genuine newshound bloggers, perhaps the existence of “Brian” is just a literary device to give the illusion of multiple writers. Brodsky has already copped to writing previous posts allegedly by the elusive “Brian”. If that’s the case here, then we will be happy to add this fabrication to Ellen’s enduring record of dishonesty. 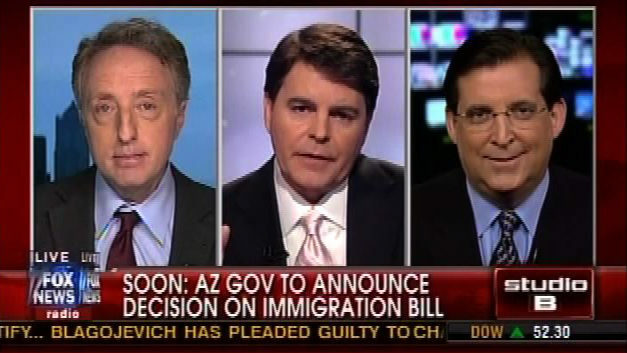 The controversial Arizona law cracking down on illegal immigration has the Fox Haters noise machine in a tizzy. A headline from the discredited sewer that is Media Matters reads: “Numerous Fox Newsers embrace and defend racial profiling aspect of AZ immigration law”. When you dig down into their exposé, it turns out that of the five examples they give, two of them weren’t on Fox News at all! And a third, an edited clip from Brit Hume, turns out to be something less than “embracing” the bill or racial profiling. Finally at the bottom of the piece, ten paragraphs down, we learn that “some Fox Newsers disagree”. How unbalanced of Fox! In this paragraph we find four citations, three of them from Fox News broadcasts. And there could easily have been several more added to this category (including Juan Williams, Geraldo Rivera, and a certain judge). Why is this even an MM article? Are they objecting that Fox gives both sides of the issue? It’s as if MM won’t be satisfied until only critics of the law are permitted on air. So they attack Fox, with a headline about “numerous” Fox people who “embrace” the law, while buried in the last paragraph are “some” who criticize it. Classic Media Matters Mendacity. So regardless of what The Judge said, it was swamped by all those other analysts who came before him and spent “most of Friday” defending the bill. Well, who were they? What did they say? Raw Story’s Andrew McLemore doesn’t tell us. He has video of Napolitano, but nothing on all those other Fox News analysts before him. That seemed a curious enough omission that it deserved looking into. Fox & Friends, the first program on Friday’s schedule, did not have a segment about the Arizona law. Next up was America’s Newsroom: no segment discussing the bill. Friday’s coverage continued with Happening Now, but this was another two hours without a segment analyzing the controversial act. Next up: America Live. Can you guess? You got it: they didn’t have any discussion of it either. So far we’re at nine hours of continuous news, and yet not one Fox News analyst has spent even one minute defending the Arizona bill. MIKE HUCKABEE: This is a federal problem, the feds ought to be fixing this, they ought to be standing guard at the border, they ought to be enforcing the federal laws. When you have a state that is having to jump in and take on federal laws they don’t have the money resources for this, they don’t have the personnel for this, and the legal quandary they’re going to be in is going to be substantial.... Hispanic Americans have the right to be unhappy about the fact that they might be pulled over. If I were being pulled over because I looked a certain way, I would be highly offended. The truth: Fox didn’t spend “most of Friday” on the Arizona bill. And the string of “Fox News analysts” defending the law before Judge Nap came on to offer “a different take”? A fabrication--with the one FNC commentator who did opine agreeing with Napolitano! But we can’t give the award to Mr McLemore because Raw Story didn’t originate this smear. They were just doing their duty as part of the Fox Haters echo chamber, recycling what was posted at another site: Crooks and Liars. And there we learn that the false meme (“every other paid Fox News Analyst that day had been sturdily defending the bill”) was actually cooked up by C&L scribe David Neiwert. Does that name sound familiar? Oh yeah, he’s the guy who lied about Fox anchors not describing an attack as “terrorism”. In the spirit of giving credit where credit’s due, we’re happy to recognize him as the true author of this lie as well.